Architecture, Engineering and Construction firms are using technology to transform the way they do business. In this hyper-competitive industry, taking advantage of technology and staying ahead of competition is key to survival. 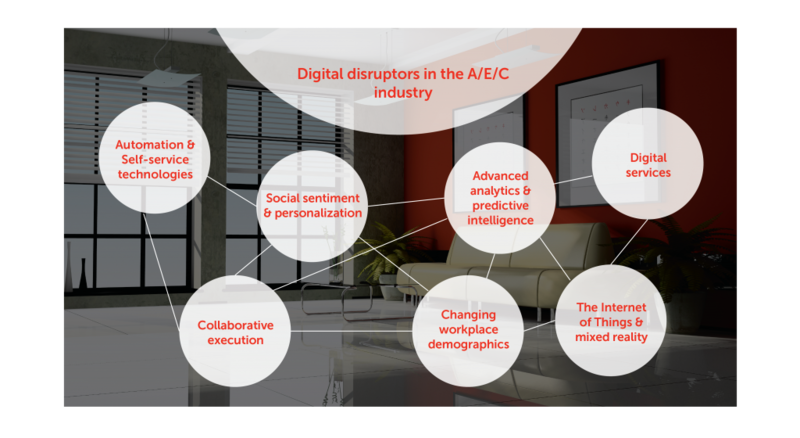 The recent evolution of the Microsoft Cloud has led to “digital disrupters” that allow AEC firms new opportunities to better understand client needs, provide better service offerings, differentiate the business, operate globally and adapt with agility. Digital AEC utilizes the Microsoft Cloud tool box to promote growth, flexibility and agility to AEC firms all over the world. Between Dynamics 365, Power BI and Azure, our bases are covered in making sure AEC firms are functioning with optimal performance. These technologies enable AEC firms to engage customers, empower employees, transform offerings and optimize operations. Deploy tools that increase employee productivity and collaboration across all business elements. Provide employees with pervasive mobility for gaining anytime, anywhere access to critical business data. Utilize Human Capital Management systems to develop talent, optimize employee performance, and build the necessary skills required to thrive in today’s world. Improve operational efficiencies to reduce the cost of service delivery. Leverage repeatable assets, knowledge, and processes to drive down costs, improve service quality and consistency, and speed time-to-value. Provide project managers with the tools they need to improve project visibility, complete projects on time, and impress your customers. Create differentiated offerings that attract new clients and generate additional revenue from existing clients. Leverage the cloud and advanced analytics capabilities to develop new, data-driven services using tools such as the Internet of Things and machine learning. Don’t limit revenue streams to traditional consulting services! Increase client connections by creating new, recurring revenue streams and subscription services such as data collection, monitoring, and analytics services.